At Ryburn Toyota we believe in the importance of performing oil changes at factory recommended intervals to prolong the life of your vehicle and to maximize its value. 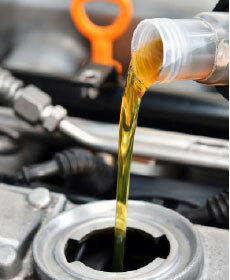 We use Genuine Toyota Motor Oil, which is formulated to meet the needs of Toyota vehicle components. If it's time for an oil change, trust the highly-trained technicians at Ryburn Toyota to quickly perform this service and get you back on the road. Please give us a call or schedule an appointment online and visit the experts at Ryburn Toyota today! Contact us at (870) 367 -5353. Save on your filters today for only $5.50 EACH!!! Save on your Toyota oil filters when you mention this internet special!!!!! Coupon not valid with any other offer. Coupon does not apply to prior purchases. Other Restrictions may apply. Void where prohibited. Taxes not included in advertised price.